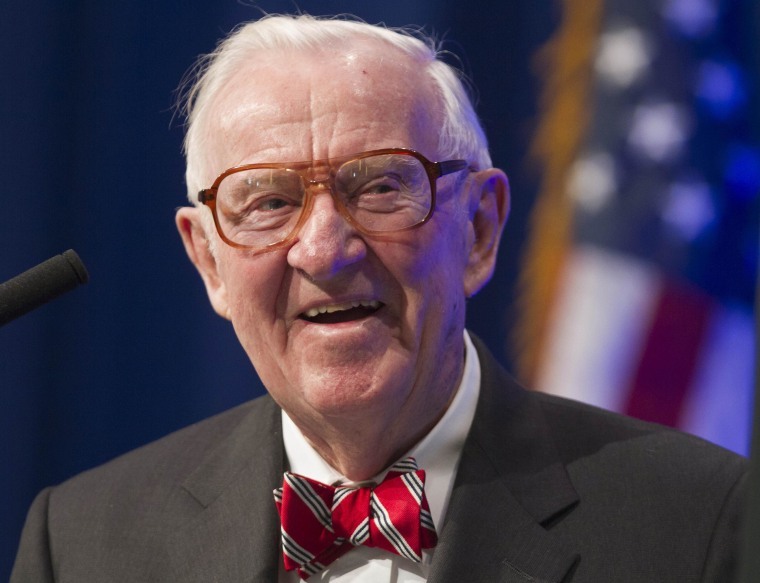 In the aftermath of the Connecticut school shootings that left 20 first-graders and six educators dead, retired Supreme Court Justice John Paul Stevens began thinking about ways to prevent a repeat. The book, Six Amendments: How and Why We Should Change the Constitution, is being published Tuesday by Little, Brown and Co., two days after Stevens' 94th birthday. But Stevens has gone a step beyond by proposing the constitutional changes. Asked whether the book could in part be seen as "sour grapes," he readily agreed. "To a certain extent, it's no doubt true, because I do think the court made some serious mistakes, as I did point out in my dissents," he said. "But I've been criticized for making speeches since I retired. Writing the book is not much different from continuing to speak about things I find interesting." A recent example is the court's decision, again by a 5-4 vote, to strike down limits in federal law on the total contributions wealthy individuals can make to candidates for Congress and president, political parties and political action committees. Stevens said the decision follows from the 2010 ruling in Citizens United that lifted limits on political spending by corporations and labor unions. Again, he was in the dissent in another 5-4 ruling. Those cases, he said, talk about the importance of public participation in the electoral process. But this month's decision on the overall limits is "not about electing your representative," Stevens said. "It's about financing the election of representatives of other people. It's about the influence of out-of-state voters on the election in your district. It sort of exposes a basic flaw in the recent cases." Stevens marked his 94th birthday Sunday, still in excellent health, but lately feeling his age. Speaking to AP a few days before his birthday, he said, "It's going to come and pass. I'm not sure it's something to celebrate."